Hsp70 and Hsp90 are well-conserved molecular chaperones that bind and fold a a large proportion of proteins in the cell. Many cancer proteins are inherently unstable and need chaperones to maintain activity.We are interested in the basic question of the role of molecular chaperones in breast and prostate cancer. We are focused in novel ways to manipulate Hsp70 function by either inhibiting specific “helper” co-chaperone proteins such as Hsp40 or by modulating phosphorylation on Hsp70. 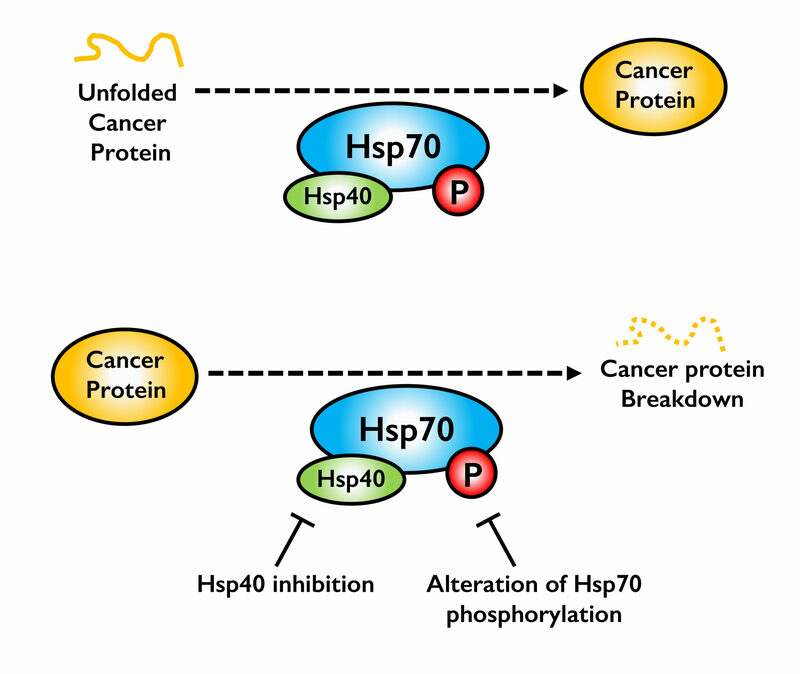 By “fine-tuning” Hsp70 function, we hope to identify novel ways to destabilize cancer proteins. The Truman lab incorporates protein biochemistry, molecular biology, proteomics, systems biology, bacterial and yeast genetics and cell culture technologies. Keywords: protein-protein interactions, protein folding, CRISPR-CAS9, breast cancer, signal transduction, phosphorylation, Hsp70, Hsp90, cell cycle, DNA damage response, yeast genetics. Interested in working with CRISPR-CAS9? Our lab utilizes CRISPR to knockout, mutate and epitope tag genes. If you are interested in collaborating on a CRISPR project, please click here for more details! NIH-funded research opportunities for postdocs, graduate and undergraduate students available!